When I was younger I thought the best way to combat my oily skin was simply by not applying a moisturizer. I would dry out my face with cleansers thinking that was going to get me the results I wanted. I always felt I couldn’t wear actual makeup because my skin was so oily. 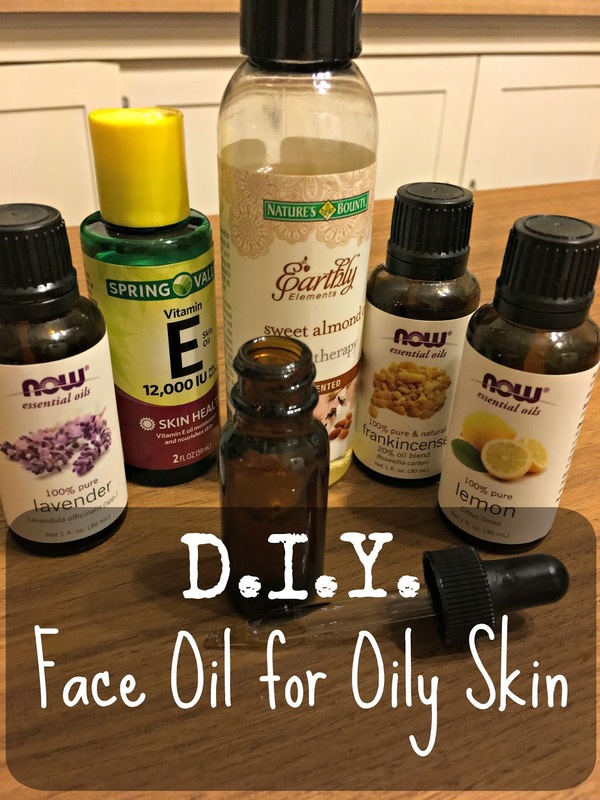 Now, as an adult, I realize I was making my face produce more oil. 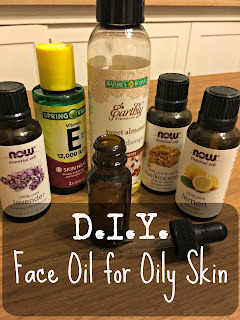 When the skin is dried out it overproduces oil to help – exactly what I didn’t want. But I was still struggling with oily skin even though I started toning and moisturizing. What was I to do? The key is to finding the right products and fighting oil with oil. What? Why would you use oil to combat oil? Your skin produces oil for many reasons. One reason is because your cleanser and toner are taking away too much oil so it helps by making more. By adding more oils, the right kind of oils, back into the skin then your skin will be at a healthy level. The best thing I have found is making my own face oil. I use this after I wash and tone my face every day. I try to wash my face at night but most of the time I am way too tired to care. I always remove my makeup though. 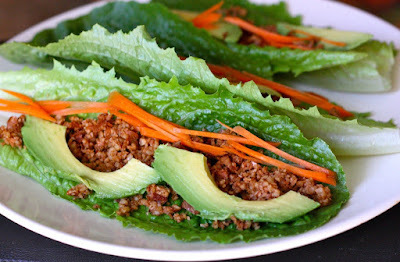 The oil is super easy to make and will keep for quite a while. Best of all, it is eco-friendly to make your own and you reduce the number of chemicals on your skin! It’s a win-win. 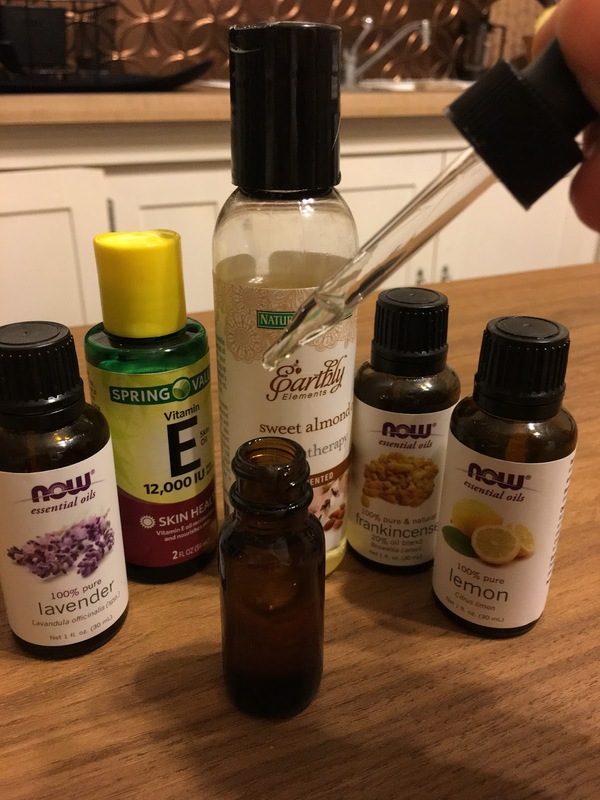 Fill your bottle with the essential oils and vitamin E oil first. Then top it off with your carrier oil and you’re done! When you get done washing and toning apply 1-2 drops on your finger and apply to face. I apply more in the areas of my face that tend to be dry and less where they are oily. 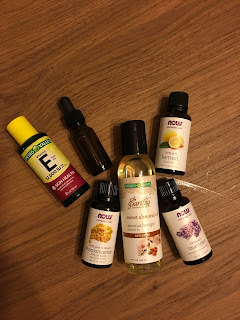 I have been using this face oil for about a year and it has made a huge difference. My skin feels softer and less oily but it also looks healthier and glows. It also smells amazing! I tried this blend with fractionated coconut oil but it didn’t absorb as well as I would have liked. I decided on sweet almond oil because it absorbed fast, lasted a long time, and didn’t leave a residue. You can try other oils and see what works for you. Next time I make it I want to try grapeseed oil and see if I like it better. Jojoba would be great for just oily skin. 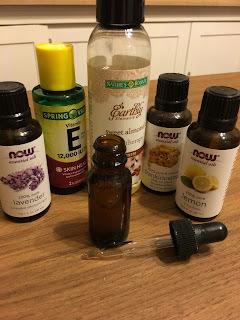 I recommend seeing what oils are good for certain types of skin and go from there. You can even combine if you want! My other suggestion is using organic or high-quality oils but remember high quality doesn’t mean high price. I get most of mine from Plant Therapy, Mountain Rose Herbs or at my local health store.